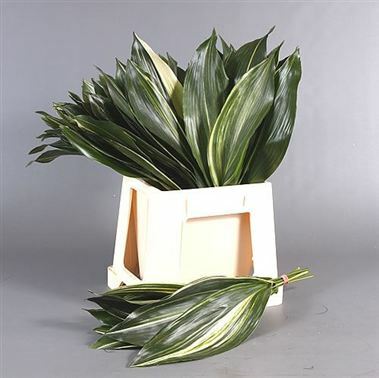 Aspidistra Eliator Variegated (approx. 100 stems) is a commonly used foliage in floristry - but this green & cream variegated has to be the Rolls Royce of Aspidistra !! !